Lantern Mod 1.12.2/1.11.2 for Minecraft adds a small but useful and convenient item in survival journey in Minecraft world. It is a lantern. Have you ever felt bored of holding tons of torches? Are you tired of carrying the torch continuously on the roads? Let’s come to Lantern Mod; we will provide you one lantern with preeminent functions. It can lighten everything around you so that you can see clearly and look far away at night! One unique point of Lantern Mod is these lanterns can be outside like decoration stuff. However, to work well, they need to be provided burned fuels (coals). To add the fuels, you hold shift and right click to the light and then open the display of providing the fuel. To turn on/off the light, you only need to click right, it is very easy, right? Step 1: Create the lanterns. Step 2: Hold shift and right click to the lantern, and then put the coal to the fuel box. Step 3: Turn on/off by right click to the lanterns. 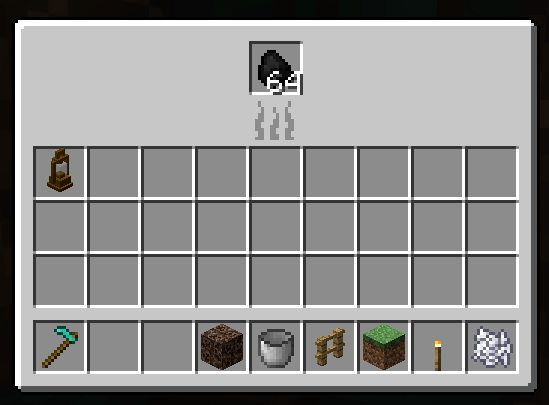 Put jar file of Lantern into mods folder and then run Minecraft. Done!